Looking for a vehicle that's spacious and has every option?? Look no further!!! 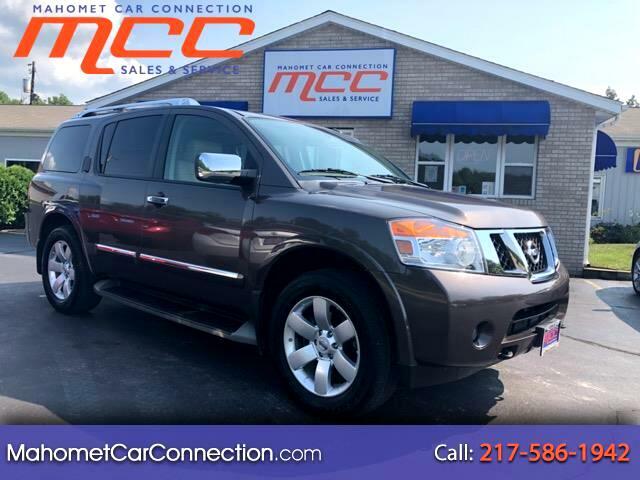 This loaded 2014 Nissan Armada SL has everything you are looking for!!! With enough room for 8 passengers AND all the bulky luggage/cargo, the Armada can handle it all!! Equipped with the powerful 5.6L V8 engine and a 5 speed automatic transmission with a tow rating of 9,100 pounds. SL features include 20 inch wheels, auto leveling rear air suspension, roof rack, keyless entry and ignition, heated leather seats, power seats, power folding third row seats, fog lights, power lift gate, auto dimming mirrors, and a 11 speaker Bose audio system with satellite radio and rear audio controls. Standard safety features include back up camera, front and rear disc brakes, traction control, side curtain airbags, and rear parking sensors. Come experience the MCC difference!! !